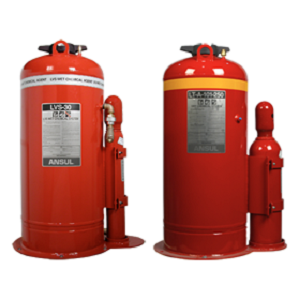 The ANSUL® Around-The-Pump proportioning systems provide a simple and effective means to introduce a foam concentrate at the desired percentage to the water being discharged in a fire pump system. The number of different foam concentrates is only limited by available space as each foam concentrate would require its own separate tank. 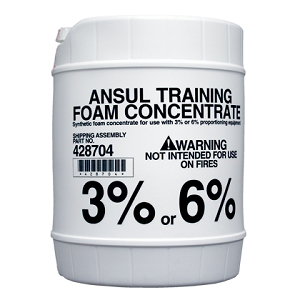 The types of foam concentrates might typically include ANSULITE® AFFF of either 1%, 3%, or 6%; ANSULITE AR-AFFF of either 3X3 LV or ARC types; or SILV-EX® Class A foam concentrate. 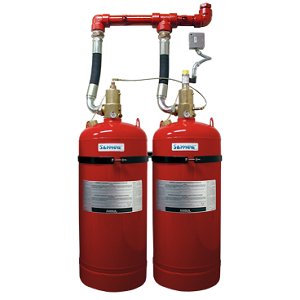 A fire truck pumper system may therefore have a dual proportioning system with one tank having a Class B foam concentrate for flammable liquid fires and a second tank having Class A foam concentrate for structural fire attack or other ordinary combustible fire materials. Besides applications for fire pumper trucks, an around-the-pump proportioning system can be used aboard various shipboard applications where the addition of foam to water is desired to enhance the fire fighting operations. Only a fire pump with the inlet pressure to the pump not exceeding 10 psi is required for proper operation. The sole limitations are that the flow rate is within the around-the-pump proportioning system range with the type of foam concentrate selected. 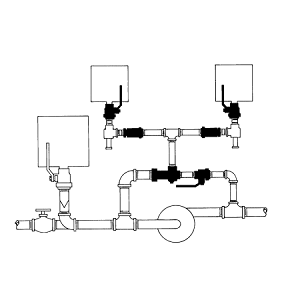 Around-The-Pump Proportioning Systems provide a simple and effective means to introduce a foam concentrate at the desired percentage to the water being discharged in a fire pump system. The number of different foam concentrates is only limited by available space as each concentrate requires a separate tank. The types of foam concentrates typically include ANSULITE AFFF of either 1%, 3%, or 6%; ANSULITE AR-AFFF of either 3X3 LV or ARC types; or SILV-EX Class A foam concentrate. A fire truck pumper system may have a dual proportioning system with one tank having a Class B foam concentrate for flammable liquid fires and a second tank having Class A foam concentrate for structural fire attack or other ordinary combustible fire materials. 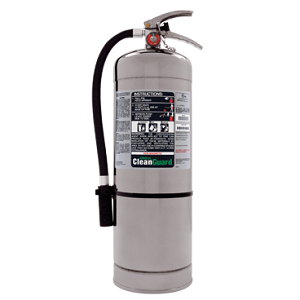 Other applications for an around-the-pump proportioning system include various shipboard applications where the addition of foam to water is desired to enhance firefighting operations. Only a fire pump with the inlet pressure to the pump not exceeding 10 psi is required for proper operation. The sole limitations are that the flow rate is within the around-the-pump proportioning system range with the type of foam concentrate selected.